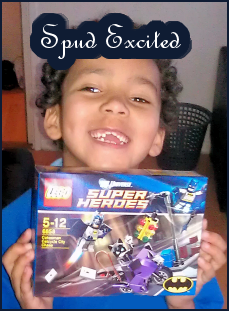 The lovely people over at Lego have made Spud one very happy little boy this week, he is a big Lego and Batman fan so was delighted to receive this set for reviewing purposes, he didn't even give me time to get the Camera charged up, he was so eager to get the box open! I do apologise in advance for these pictures, you see when you have a very excited child, who won't give you time to get the Camera charged, you have to resort to using the old camera! On the back streets of Gotham City, Batman is trying to stop Catwoman escaping on her speedy motorbike with a large diamond. 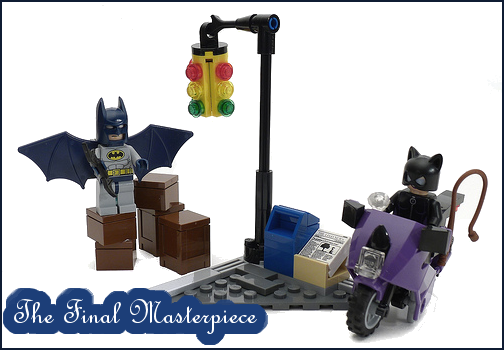 Help him topple the traffic light to cut short her getaway by hitting it with his fast flying Batarang. 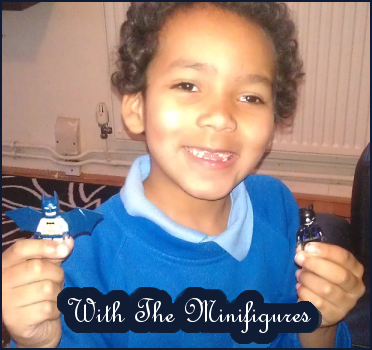 Includes 2 minifigures: Batman and Catwoman. 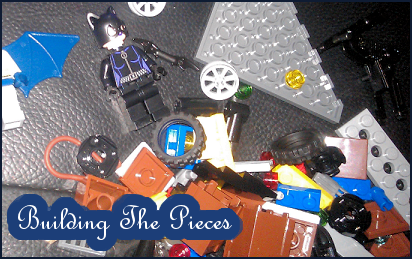 Build pieces together to make a bin. Out of all the new Lego DC Batman sets, this set is the cheapest out of them all and is also the only way to get the new Catwoman. Spud needed some help getting the traffic light pieces together but he done all the rest by himself with guidance from me. I look at everything in a product, I love how strong Lego is and how much attention they put into their products. In this particular set I love the traffic lights and the newspaper! Being the real girly girl I am, I love the jewel Catwoman has! Spud is more interested in the minifigures and the bike, he has placed the traffic light on another Lego set he built himself. The traffic lights are very easy to knock down, allowing children or even adults to complete the task. 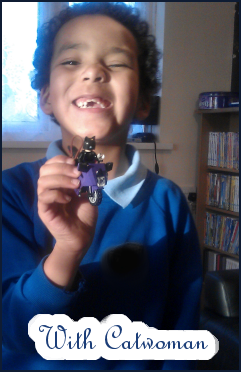 Available to buy from Smyths, ASDA, Toys R Us, Amazon and many more online and individual toy shops. For more information on the Lego Batman DC Super Hero's range check out the official Lego website here, or follow them on Twitter here.